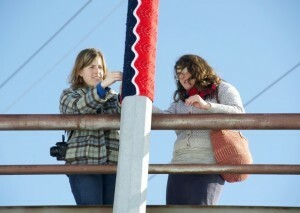 This morning our local paper featured a yarn bombing project that I was fortunate enough to partake in yesterday. If you'd like to see the article to hear more about Keep Missoula Warm you can check it here. This fascination I have with tagging something in town was finally met but not on the secretive level that I'd hoped for...so that is my next goal. I have the perfect piece to share - now I just need an occasion. It will come to me soon enough I'm sure. I took a handful of photos of the handiwork yesterday so I'll post those as soon as I weed through my pictures. I barely squeezed this post out before I turned into a pumpkin. Nighty Night.